Today we visited Krisuvik a geothermal field with powerful jets of steam escaping from deep below the earth’s crust. Many small hot springs, mud pots and boiling pools are found here with the now familiar smell of sulphurous steam. Afterwards we stopped off at a fish farm with a difference. 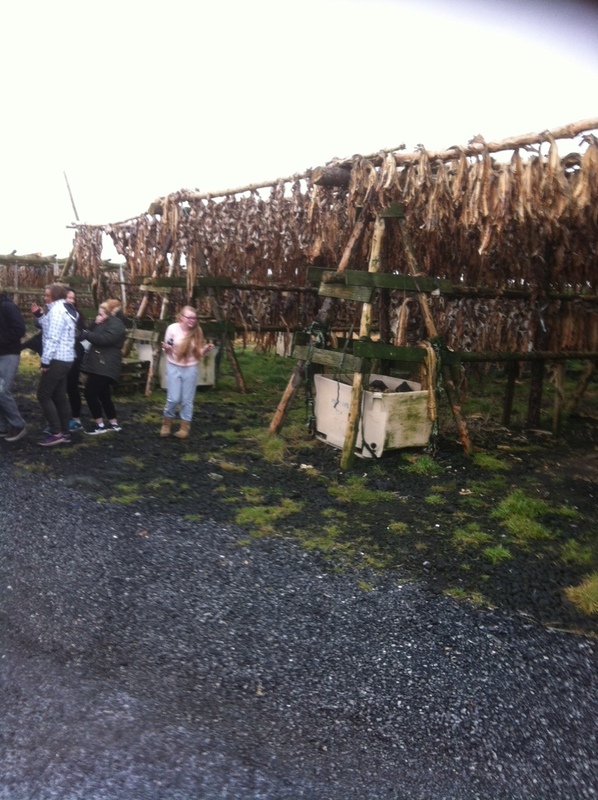 Here the heads and remains of filleted fish are dried before being exported. Finally we bathed in the mineral rich waters of the Blue Lagoon in the middle of a black lava field. The water was a balmy 37C and such were the rejuvenating properties that some of the senior members of the group were unrecognisable having lost many years.